Don't expect Siri to play DJ on your Apple TV at launch. Apple mentioned during the earnings call on Tuesday that the Apple TV, which just went on sale, would indeed get Apple Music at launch. But while you can use Siri to search Apple Music on your iPhone, that feature won’t be supported on the Apple TV until “the beginning of next year,” Apple told BuzzFeed News. Siri’s universal search is being lauded by early reviewers as the new Apple TV’s best feature, letting you find content across multiple services without having to remember which one has what, or inadvertently paying to buy or rent content you could stream for free with a subscription. 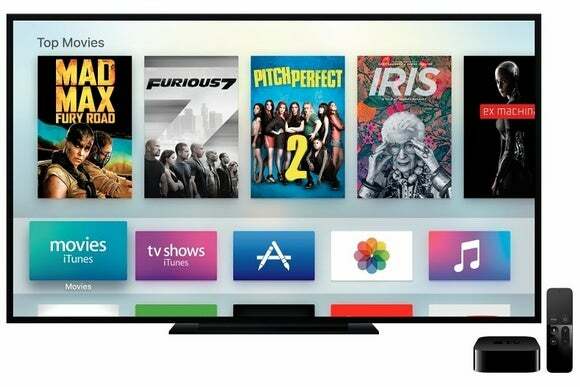 The Apple TV is launching with a limited but still robust lineup of Siri-supported services: the iTunes Store, Netflix, Hulu, Showtime, and HBO. An API will let developers add universal search to their own apps, so presumably other music streaming services could jump on board, like Pandora and Rdio, which both have apps for other set-top boxes such as the Roku and Fire TV. The story behind the story: When Tim Cook told BuzzFeed’s John Paczkowski that Apple would open the universal search API, he said, “It should be very simple.” But as of yet we don’t have a solid idea of how simple developers will find it—in other words, how long users like us will have to wait for more apps to support universal search. The fact that Apple Music, which presumably had a head-start, will need another couple months at the least might mean that “simple” is a bit of a stretch. Having a voice-activated music machine connected to your TV or stereo is a great idea, and could help drive more customers to Apple Music, which has grown to around 6.5 million subscribers since launching at the end of June.